GRAB-IT! ® -- a new and defective board game that simulates DeKalb County's cityhood and annexation landscape. Reviews are mixed: shoddy documentation and many missing pieces! 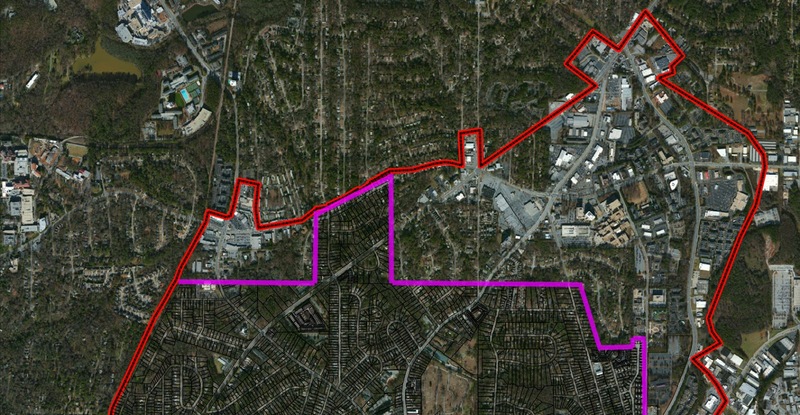 Last week, the City of Briarcliff initiative released a new map and declared that Briarcliff had "chosen to defer to the published annexation plans of existing cities." This came as a surprise, given that the Vinson Institute study included these commercial properties in the Briarcliff proposal viability test... a study that MANA dues helped support. Briarcliff, at this time, is not on the docket. 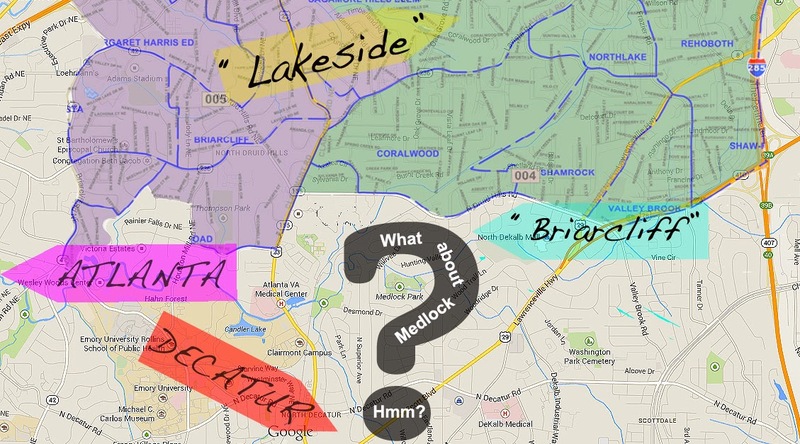 This week, the Lakeside initiative released a new map that engulfs nearby Laurel Ridge (including Laurel Ridge Elementary School, attended by many Medlock area children) as well as other neighborhoods. In rushed, ongoing committee negotiations, legislators are redrawing proposal boundaries in a manner that makes it difficult for constituents to offer timely feedback. As of this week, the Senate has approved the bill (SB 270); if the bill passes the House, it will need to be voted upon, but only those within its boundaries can voice their support or lack thereof. Many of these concerns were voiced in the Senate this week, and video is available at http://www.gpb.org/lawmakers/2014/day-29. Click on the "Senate Day 29 PM link" and cue to 1:29:10 to watch Senator Steve Henson challenge Senator Fran Millar's Lakeside proposal's incursion into Tucker. Then, cue to 1:44:30 and watch Jason Carter light into Senator Millar and describe the broken process that has led to an ever-changing Lakeside map that amounts to a "foray into someone else's district". Thank you for the Medlock/MANA shout-out, Senator Carter, and for speaking for all the communities being aggravated and antagonized by Lakeside's schemes. There are many reasons not to rush this process; Commissioner Rader articulated them well here. 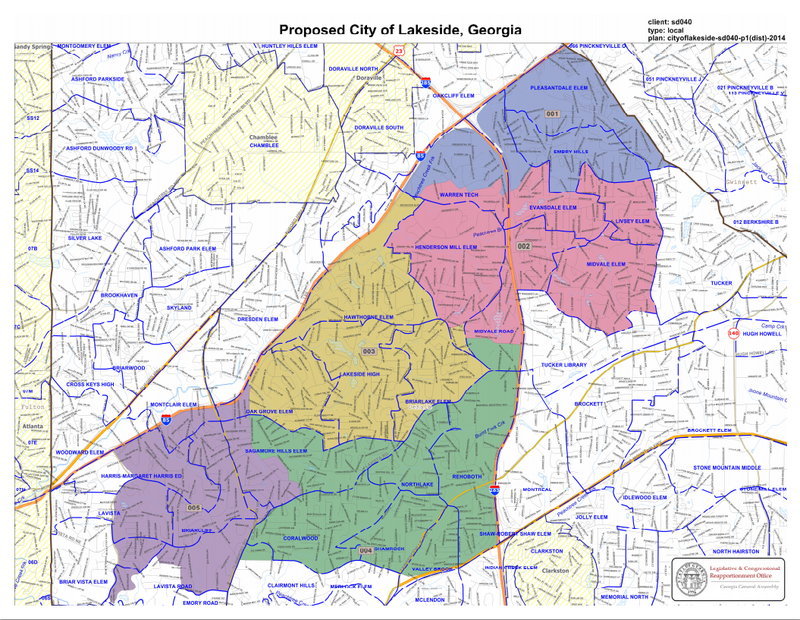 We encourage the legislature to bench all cityhood and annexation proposals for DeKalb County to allow sufficient input from citizens and analysis on the repercussions these changes will have on the County at large. We encourage DeKalb County residents to reach out to their legislators to ensure these concerns are heard and recorded, in particular as SB 270 moves to the House. Addendum 3/3/2014: City of Decatur's proposed annexation map to which the Briarcliff Initiative defers. Apparently City of Decatur wants the whole Medline LCI area in addition to commercial properties on North Decatur Road. this link now shows a map without the current city boundary. Subliminal inevitability nudge: check! This is all very exhausting and confusing, thank goodness for Monty Python's take on annexation.